This morning we left the dock around 7:15 AM, slightly later than usual to avoid any lingering fog. We were all thrilled to finally get back on the water, but encountering some of our favorite things made the day even more amazing. Around 9:30 AM, we photographed our first right whale! Everywhere we looked, there were right whales. Typically when we hang in one area for a while, we start encountering whales that we've already seen that day, but we were pleasantly surprised to have new whale after new whale appear while not having moved very far. We worked whales straight from 9:30 AM til 4:15 PM. The whale watchers lettered a total of 45 right whales! A few of them were duplicate sightings, but this is still the largest quantity of right whales we've seen in one day in the Bay of Fundy in a long time. We saw many familiar faces, like Catalog #3810 (pictured above), Dropcloth (Catalog #1271), Alien (Catalog #2630), and Caterpillar (Catalog #3503). More photos of whales will be posted soon- at time of posting, they were still being downloaded/resized/uploaded from the field cameras. 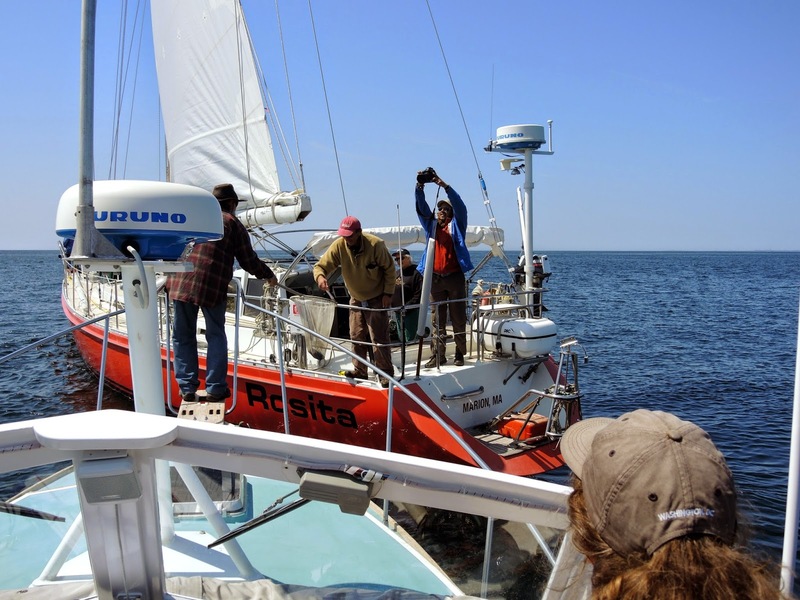 At one point in the day, friends/colleagues who sailed from Marion, MA to the Bay of Fundy caught up with us in their beautiful sailboat. 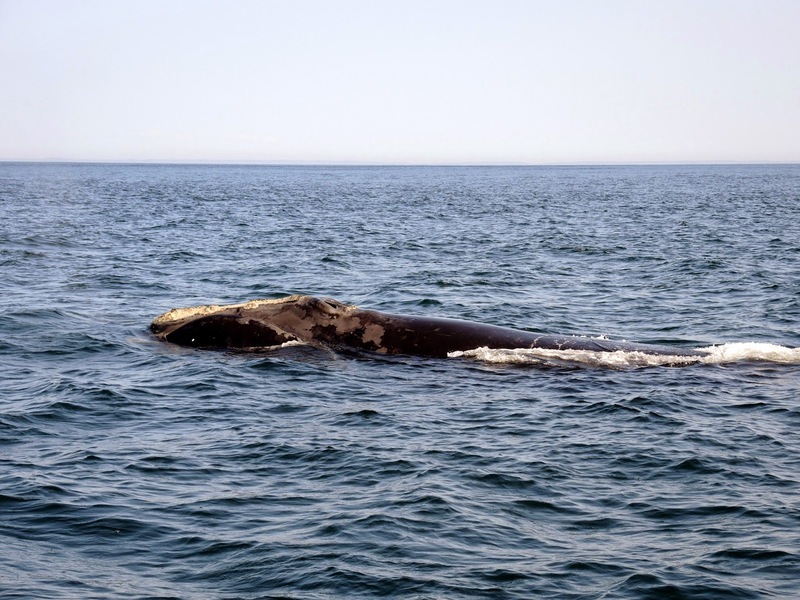 Spending much of their time studying whales, they were enjoying seeing so many right whales from a more relaxed state of mind. 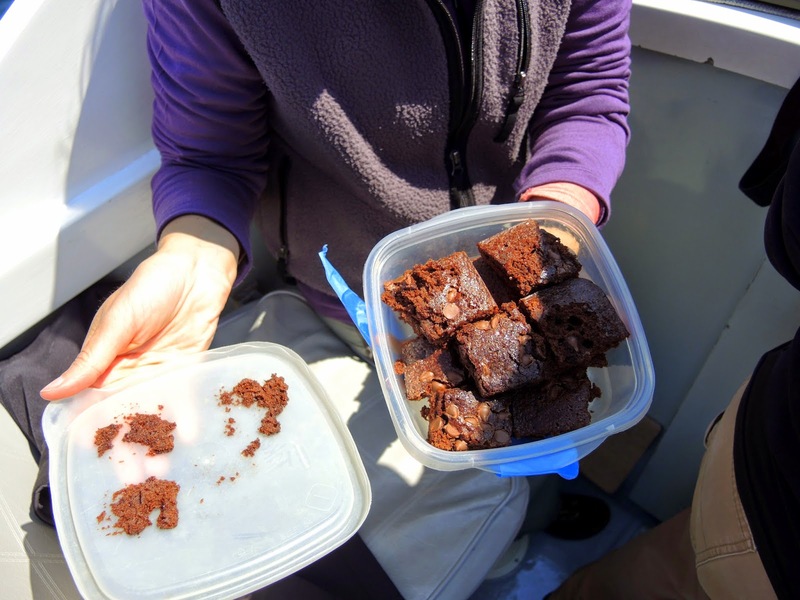 After a short chat, they handed off a container of homemade brownies that they baked on their sailboat! This special treat was definitely welcomed and gave us energy to power through the rest of the day. The smell of chocolate was soon masked by the smell of whale poop- something whale researchers love, maybe some even more than chocolate? 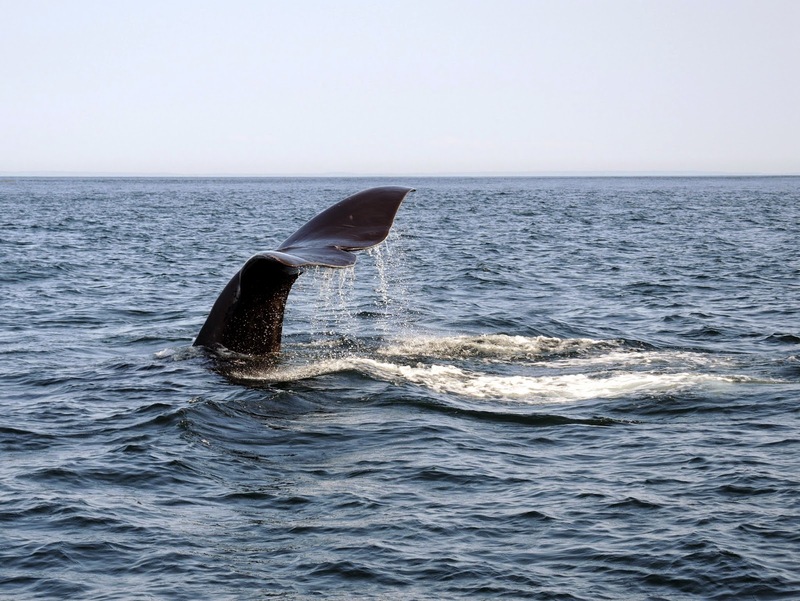 Whale poop has proven itself to be quite the goldmine, as these samples can tell us about a whale's reproductive and stress hormone levels, among other things. 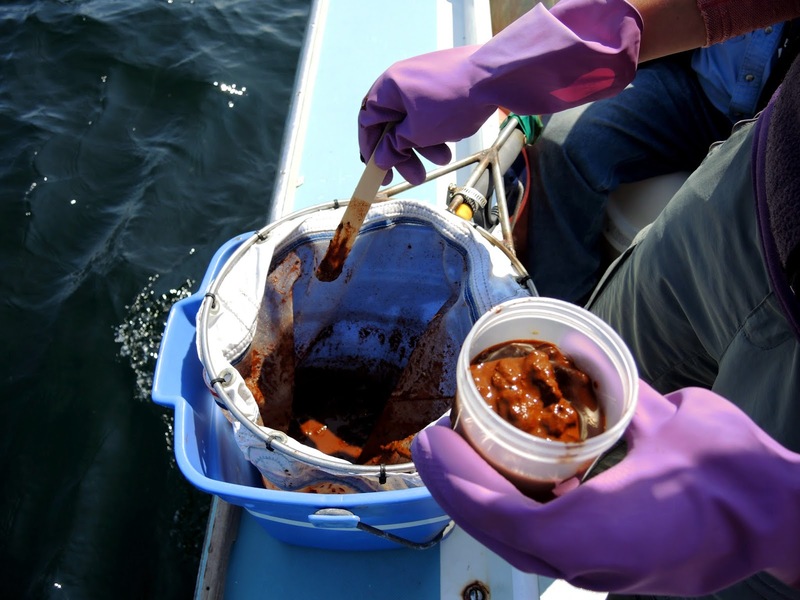 A net was quickly dipped in to collect these feces, and we know our colleagues at the NEAq's John H. Prescott Laboratory will be so happy to have another right whale sample to run tests on. We're looking forward to finishing our office work for the day so we can go to sleep and do it all again tomorrow! #10: Where did they go?? #9: What a difference a week makes! #8: Offshore for two weeks! #6: Right whales, Fin whales! 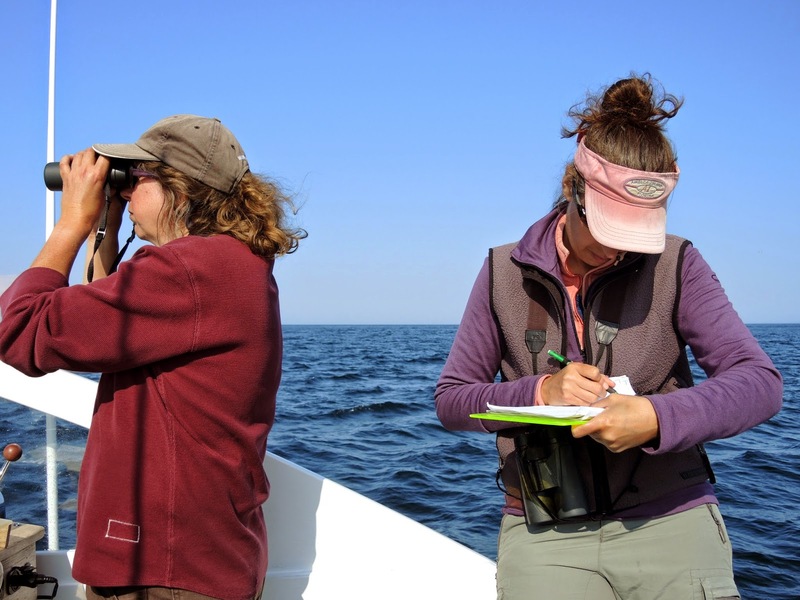 #1: Right Whale Researchers In the Field Soon!